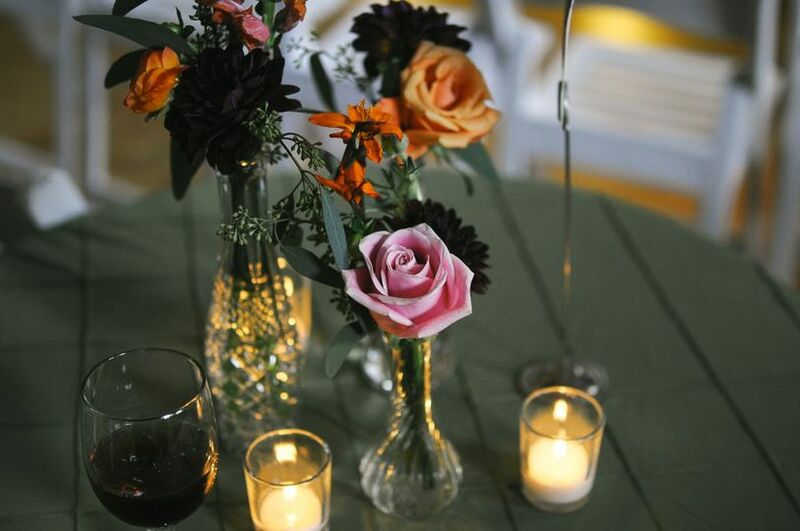 Imagine your next special event - a birthday party, a wedding celebration, a corporate retreat - and then sit back and relax. The Elm can make it happen according to your plan. 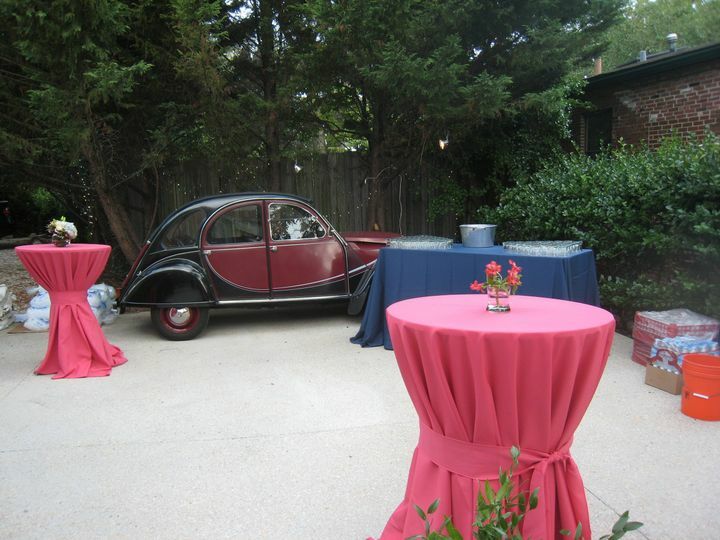 We’ve been in the business of coordinating and hosting parties and events for 10 years. Our specialty: we carry out the big picture down to the smallest details. If you’ve been to The Elm, you know our personal touch, our charming, light-filled spaces, and our lovely gardens. If your first visit to The Elm is on this website - welcome. We invite you to explore - and get to know more. 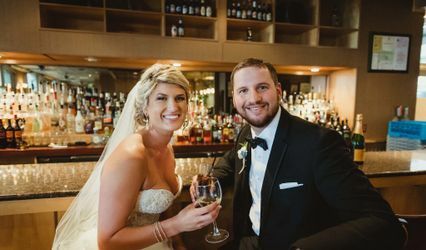 We had our wedding this past Saturday at the Elm and it was perfect. 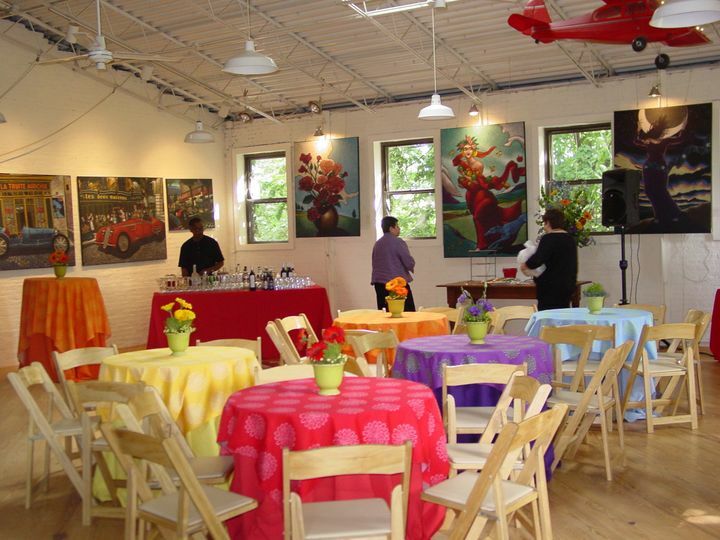 When we first visited the Elm (suggested by our caterer--Rouge Catering) we were frantic because our original venue had double booked us (the Rawlings Conservatory). I knew when I met Sharon we'd be in good hands--she's an absolute professional and I knew the day of she'd make sure everything was perfect. One thing I really wanted for the wedding was to use rectangular tables and put them end-to-end to create long guest tables. Sharon maticulously measured everything out and even had the caterer come over to make sure the spacing would work for them. I liked that we could come to the Elm several times before the wedding to visit (we went twice, plus the walk through, plus the rehearsal). The day of Sharon was an excellent coordinator (much better than the ones my friend's have paid for). 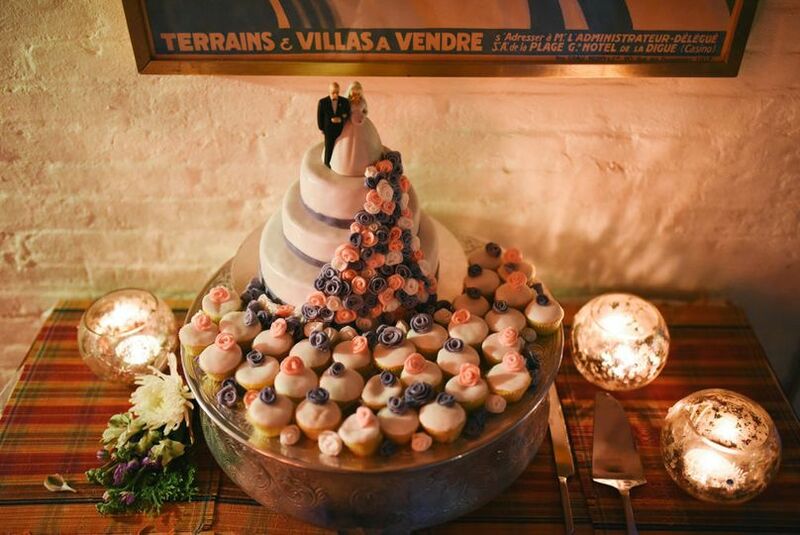 We didn't hire a coordinator, between the full-service caterer and Sharon there was no need. She even called all of our venders before the wedding to make sure they had no questions the day of. She let the rental people get there early to set up the tables so by the time we arrived the tables were basically ready for us to decorate with runners, centerpieces, and favors. They landscaped the backyard weeks before the wedding so that it was beautiful for the ceremony and cocktail hour. I really couldn't be happier that our original venue fell through. 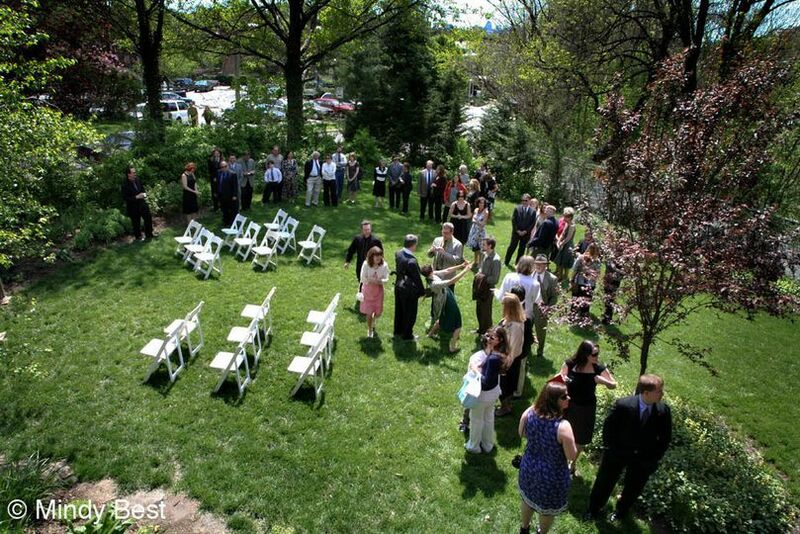 The Elm was the perfect venue to hold our ~75 guest bohemian garden wedding. Everyone commented on how "us" it was--very laid back with great food and lots of dancing. My new husband and I never wanted a wedding, but we couldn't be happier with our decision to have one at the Elm, thanks to Sharon and her hard work, professionalism, and generosity. 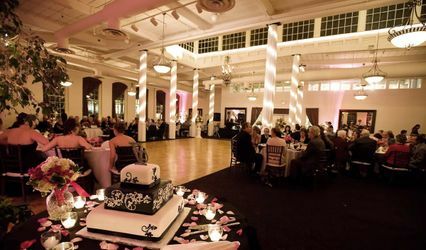 The Elm is a fantastic place to hold a wedding or special event. 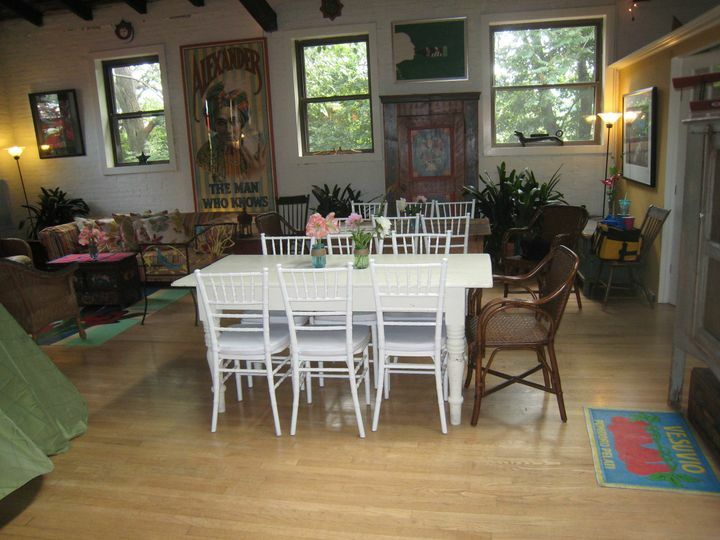 The decor and space is fun and eclectic, and the location (right in Hampden next to ample parking), can't be beat. Sharon took great care of us while we were planning our wedding event. As a bit of a bewildered bride, Sharon took the helm and made great arrangements to accommodate all of our needs and guests. 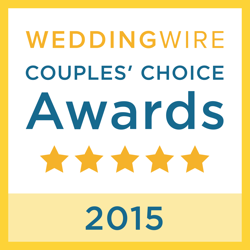 She recommended our caterer as well. 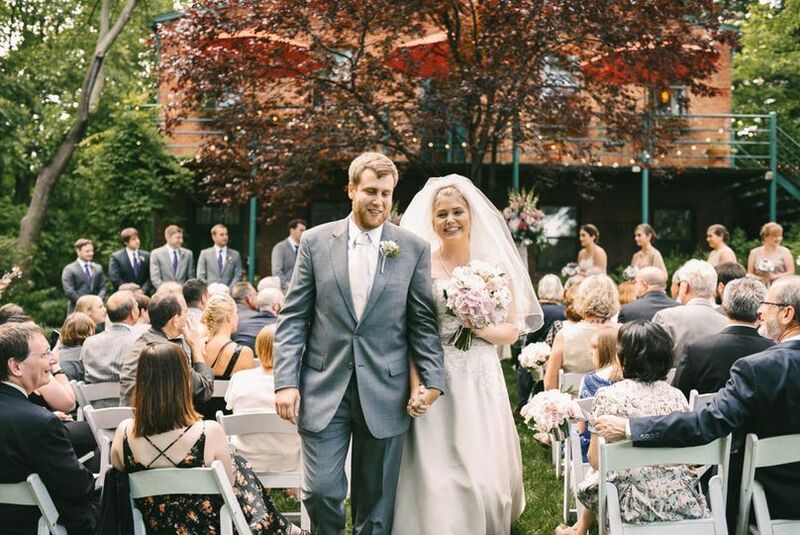 Our wedding had about 80 attendees, and the space was a perfect fit with ample indoor and outdoor space (beautiful summer garden). Thank you Sharon for being a great wedding coordinator! The Elm was a wonderful place to get married. Sharon and Bill, the owners, were incredibly helpful, flexible, and responsive. 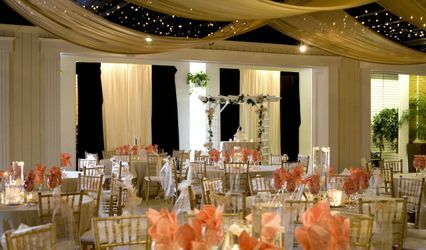 The entire space is lovely and was perfect for our size wedding (100 people). 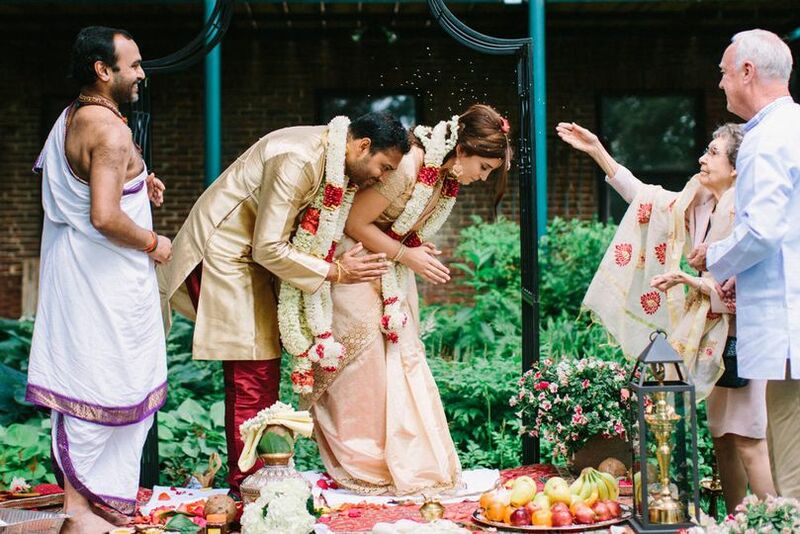 The garden was beautiful in late June and made a wonderful backdrop for our pictures, and then the inside spaces were perfect for the reception. People couldn't stop commenting on how neat of a place it is! We barely needed any decorations, there is already so much colorful art and decor already there. People did have a tough time finding the place, but that is no fault of theirs - we provided excellent directions and ultimately everyone arrived on time and ready to celebrate. Sharon also worked with all of our other vendors to coordinate on the day-of, which alleviated a lot of potential headaches. While this was not the least expensive place we considered, it was definitely not the most expensive, and I think of it as well worth the cost! One more thing - the location is only a few blocks from 36th street in Hampden, which was perfect for out-of-town guests.